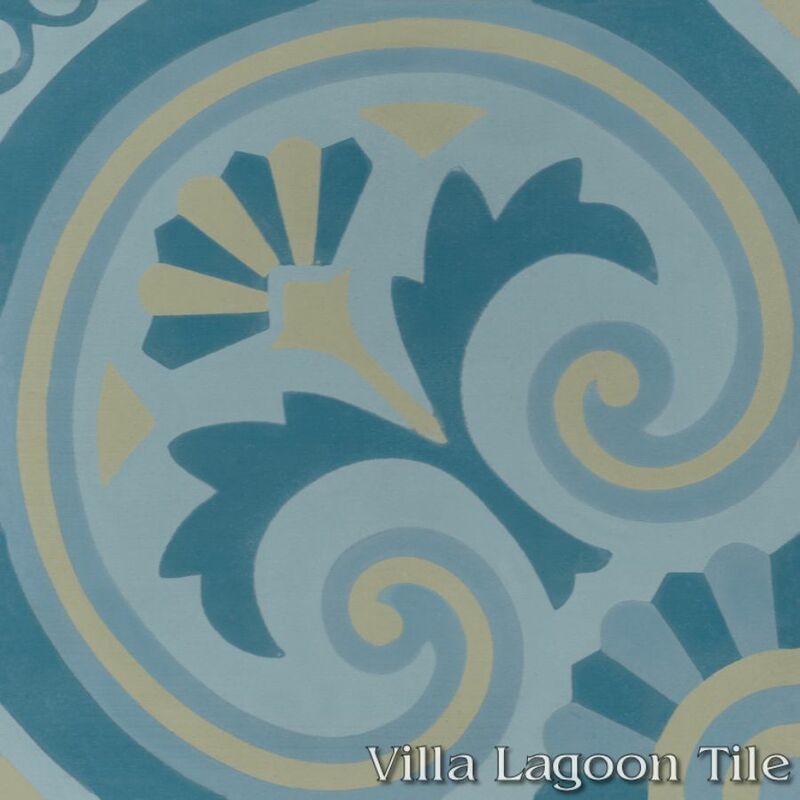 This is a 4-color 8" cement tile, using Lichen, Velvet Sky, Moonlit Sky, and Malibu Blue from the South Beach Palette. 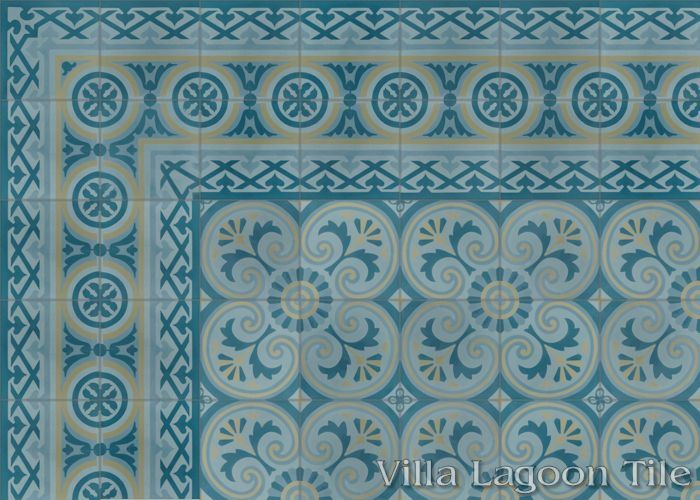 Our "Bolero" cement tile pattern is a wonderful example of two of the strongest themes associated with Cuban Tile: Art Deco, and Floral. Flowers with strong angular characteristics are placed within repeating quatrefoils. 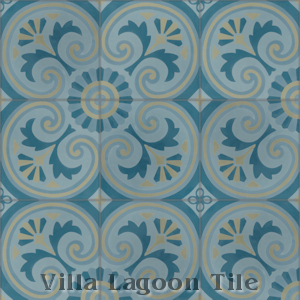 There are beautiful beaches all along Cuba's coast and our Bolero "Playa" colorway reflects the glistening Caribbean shoreline. 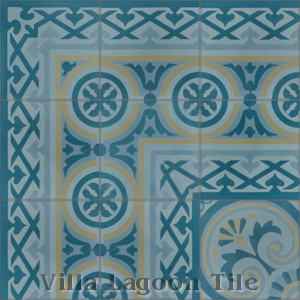 This colorway brings a soft cooling breeze into any interior or porch. 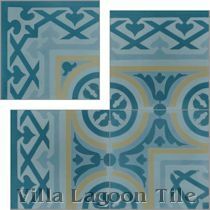 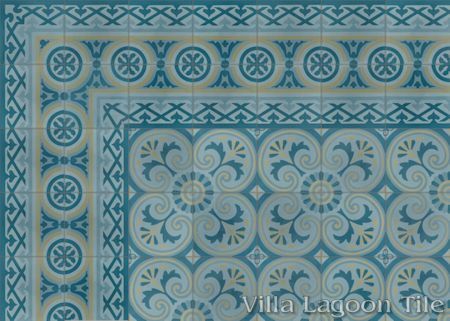 Villa Lagoon Tile's "Mas Equis" cement tile border pattern using Lichen, Velvet Sky, Moonlit Sky, and Malibu Blue from the South Beach Palette.